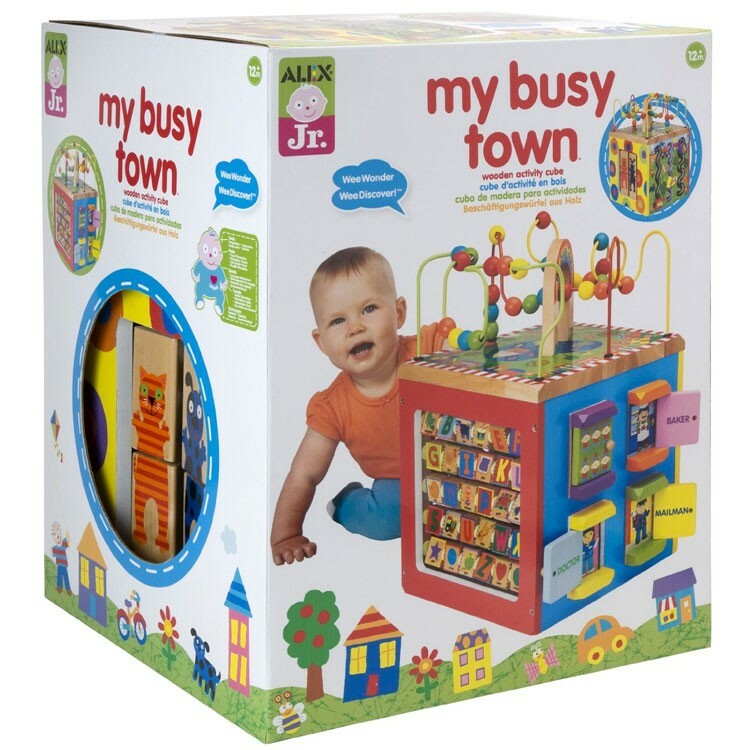 Alex' new Busy Town Wooden Activity Cube offers 5 sides of fun and discovery for toddlers! Is your baby or toddler ready for tons of manipulative fun? Busy Town Wooden Activity Cube offers 5 sides of amazing discoveries! This bright and cheerful solid wooden cube features multiple engaging activities that keep those little hands busy and young mind occupied. 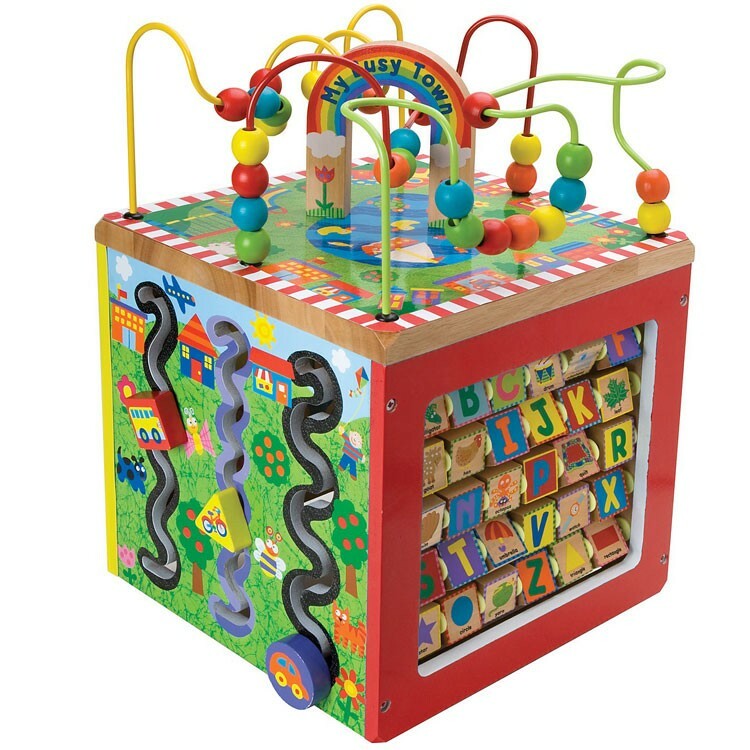 Busy Town Wooden Activity Cube from Educational Toys Planet comes with the curvy bead mazes, peek-a-boo doors, spin & match animals, turn & learn alphabet tiles and racing vehicle rollers. 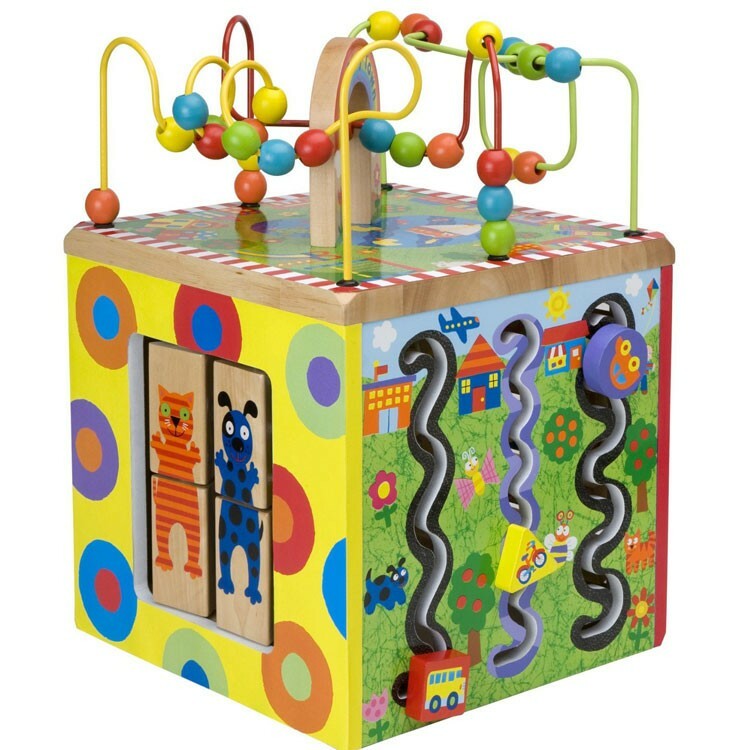 This high quality wooden activity cube with bead maze on top measures 16 x 12 x 12 inches. 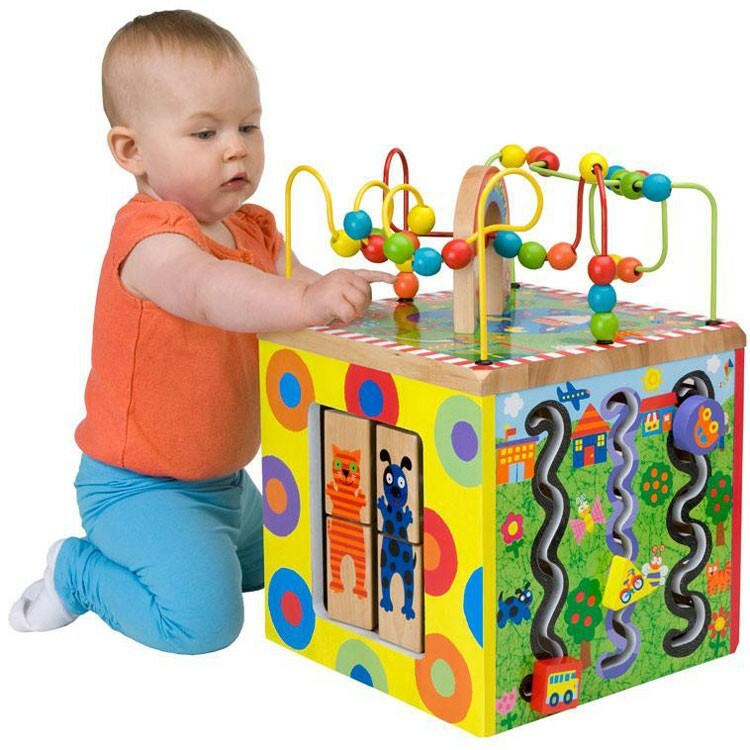 Busy Town Wooden Activity Cube is a great activity center for toddlers at home, daycare centers, or waiting rooms. Dimensions of package 12" x 12" x 16"
Write your own review of Busy Town Wooden Activity Cube.